It wasn’t without controversy. Rutkowski advanced to the final round after he outscored another BFO pioneer, Ross Hill, 85-84.5. The other judge, Rowdy Barry, scored Hill’s fight 21.5 on a 21-point bull; he marked Rutkowski’s fight 22 on a 21.5 bull. That was enough to allow the champ to advance. Once he made the short round, Rutkowski went to work. He and Unicorn went toe-to-hoof on the arena dirt, and the bull had the advantage during most of the 60-second match. But all three short-round bulls were brutal. Beau Schueth, who sat No. 2 in the Pendleton Whisky World Standings heading into the final day of the year, scored 84.5 points to finish second while battling Manuel Costa’s Spitfire. With the victory, he pocketed $25,000. By winning the world championship, he added $50,000 and ended the year with $113,750 in BFO earnings. It wasn’t without taking a heavy beating. “I am mentally and physically beat,” Rutowski said. “It’s been a long 10 days. I’ve got several hematomas building up, along with my face. A year ago, he faced adversity after the Roughy Cup, suffering a gash on the back of his head that required 16 staples. During this year’s Roughy Cup, he took a shot to the head that resulted in three facial fractures. 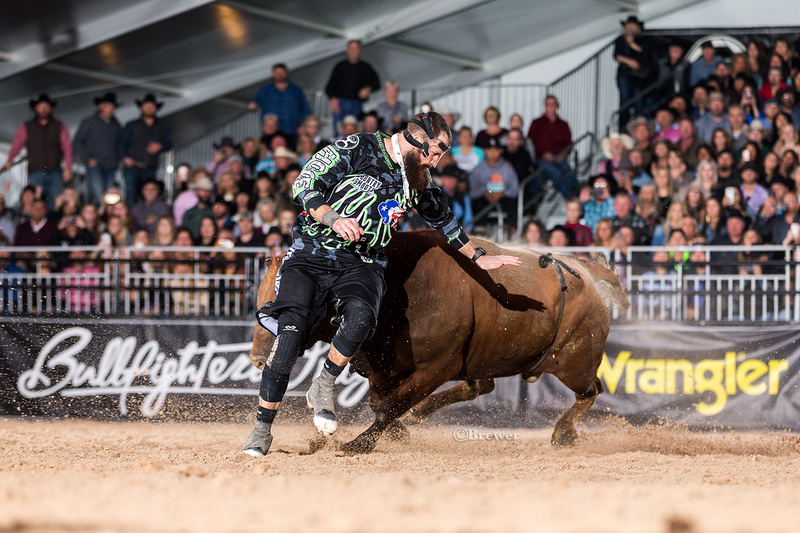 He competed on his last five bulls wearing a protective face mask. “This title means a lot,” he said. “I’m going to take about a week off, then we’ll get back at it and get ready for next year. Every bullfighter who faced the challenges over the last 10 days understands that. Rutkowski just stands as a symbol for what happens when preparation meets opportunity.